We’ve created several flexible Luxor day tours, all designed for you to travel privately and to give you a flavour of the best Luxor has to offer. Each of our excursions can be either booked as it is designed, or customised to your own requirements. Either way, we are here to help you. Enjoy planning your next Luxor trip. Luxor Day Tours: wondering where to go in Luxor? 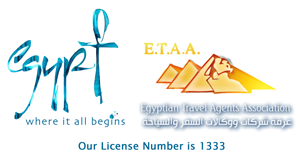 Click the links below to find out about your chosen Luxor Day Tours. The magnificent complex of Karnak, with its ruined temples, chapels and a sacred lake, are the result of many pharaohs contributing buildings to the site over a period of at least 2,000 years, making Karnak the largest and most impressive temple complex in Egypt if not the world. The great hypostyle hall, containing 134 gigantic free-standing columns covering an area of 6,000 square meters, typifies the immense grandeur of the main temple. The elegant temple of Luxor, in the heart of the city, parallel to the Nile riverbank, is considered one of the most majestic architectural wonders of ancient Egypt. Visit the Sanctuary of Amun’s Barque and find out how Alexander the Great wrote himself into Luxor´s history. Later in its history the temple became a Roman fort, and in the 14th century a mosque, dedicated to Sheikh Abu El Haggag, Luxor´s patron sheikh, was constructed within its walls. Visit some of the beautifully decorated tombs that have been hand-carved into the rock of the cliffs of the world-famous Valley of the Kings. Thus far 63 tombs have been discovered, many staggering in their size and decoration. Continue to the Valley of the Nobles, which contains some of the finest rock-cut tombs in the Theban necropolis, all decorated with stunting paintings and fine relief work depicting the actions of everyday life. The mortuary temple of Ramesses III at Medinet Habu is the best-preserved temple in Thebes, surrounded by a huge mud-brick enclosure wall. The decoration of this massive temple is some of the most beautiful ever produced by Egyptian artists, and it is one of few temples that still has its original bright colours on many of the reliefs. Finally, a brief stop on the return journey at the Colossi of Memnon. The mortuary temple of Queen Hatshepsut at Deir el Bahari, the only terraced temple in Egypt, is set in a natural amphitheatre in the cliffs and rises out of the desert plain. This extensive temple features great ramps and courtyards and still contains beautiful reliefs on its inner walls and chapels. The mortuary temple of Ramesses II at the Ramesseum was once a masterpiece, but now only parts of its pylons and inner temple still stand. Perhaps the most famous of all the ruins here is the massive granite statue of Ramesses II that inspired Percy Shelley to write his famous sonnet ‘Ozymandias’. The seldom-visited ancient village of Deir el-Medina, also known as the valley of the artisans and workmen, houses some perfectly painted tombs with charming scenes from the everyday life of the ancient Egyptians. Finally, a brief stop on the return journey at the Colossi of Memnon. Take a hot air balloon ride above the beautiful landscape of Luxor for a bird’s-eye view of the West Bank’s picturesque mountains, old villages and the ancient temples of magical and historic Thebes. For the best chance of a clear flight, these hot air balloon flights leave daily before sunrise; the early start is well rewarded by the magnificent sunrise, which lights up the ancient monuments and the unending desert. Yes, there is a light breakfast and fresh orange juice, but no, no champagne – who needs it after a magical hot air balloon ride over the Nile! Luxor from up high is also beautiful – A truly unforgettable experience. Venture off the beaten track on a full day excursion to Dendera & Abydos. Drive north through countryside villages in the fertile Nile valley to Dendera and visit the Ptolemaic temple of Hathor, including a Roman birth house, roof sanctuaries and a sanatorium. Among the rich decoration is the only surviving relief depicting Queen Cleopatra in Egypt. Continue to the temple of Seti I in the ancient city of Abydos. Its seven sanctuaries are approached through two broad hypostyle halls, beautifully decorated with extremely fine and delicate painted relief work, including a famous ‘King’s List’. Finally, move on to the Osireion and the smaller temple of Ramesses the Great nearby. After as much walking and exploring as you like, return to Luxor. This full-day cruise past riverside villages, idyllic groves of feathery date palms and Nile islands reaches Qena after about 5 hours on the boat. A delicious lunch of Egyptian delicacies is offered on board while sailing. After lunch, a short drive to the village of Dendera, home to the Temple of Hathor, built by the Romans and the Ptolemies in the style of the earlier Pharaonic temples. The archaeological site contains a hypostyle hall with 18 Hathor-headed columns and an astronomical ceiling, many chapels and birth houses, all carved with painted relief decoration and surrounded by the remains of the original mud-brick enclosure walls. On your return to the boat, enjoy delicious pastries and freshly brewed coffee as you gently sail back through the beautiful scenery of the mighty Nile! This one-day cruise is timed perfectly to watch the sunset just before reaching Luxor. Become a part of Luxor’s millennium-old sailing tradition aboard a traditional Nile felucca. 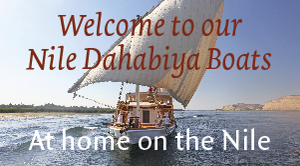 Enjoy the easy rhythm of life on the river, occasionally stopping to walk through fields, villages and Nile islands. Enjoy an Egyptian-style lunch with diverse mezze and fresh-baked sun-raised bread, freshly prepared at the famous Sofra restaurant. It is possible to combine this relaxing sailing trip with horse or camel rides into the countryside. The best thing to do in Luxor in the afternoon is to watch amazing sunsets from the boat. We’re spicing things up with our authentic Egyptian cooking class. Bring a camera, a sense of adventure and an empty stomach to absorb everything about the delicious food you will cook. Come and experience the exotic flavours of Sofra! The variety of the Egyptian cuisine is unique, with influences from many neighbouring countries thanks to a history of foreign trade, exchange and invasion of and by other cultures. Pharaonic texts and wall paintings in the tombs provide evidence that the ancient Egyptians loved a good meal too. Sofra chefs will take food lovers on adventures to their favourite stalls in the souks of Luxor. Watch the locals haggling with the farmers over the food, with every twist and turn offering a sensory feast of sights, sounds, aromas and mystery. You will acquire some of the ingredients for your cooking class and will probably sample many speciality products as the vendors encourage you to taste their wares! Back to Sofra to start cooking! Hands-on, our chefs will help you understand the basics and the subtleties of Egyptian cuisine. The menu offers a lot of choice and the dishes are all authentic Egyptian recipes cooked in the traditional way with fresh local ingredients. Complete your dinner with handmade sweets, fresh fruit and Arabian coffee. By the time the cooking is done, we will all have worked up an appetite. Enjoy the fruits of your labour at a relaxing dinner. After your meal, sit back, relax and enjoy a complimentary pot of refreshing Egyptian tea.